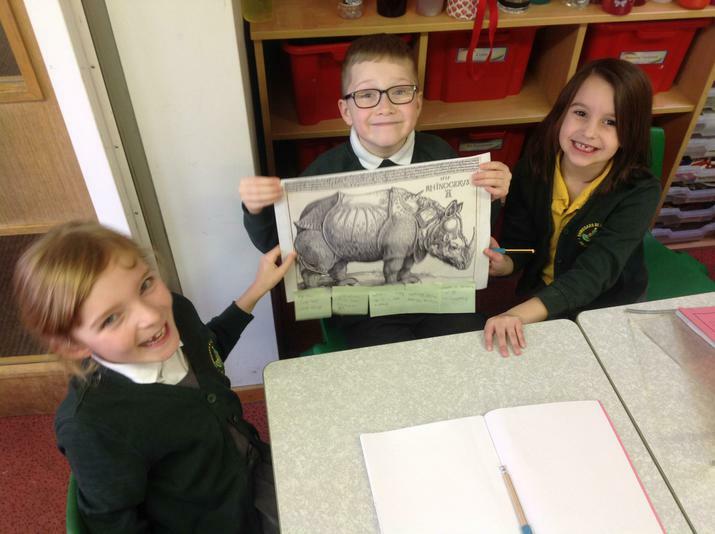 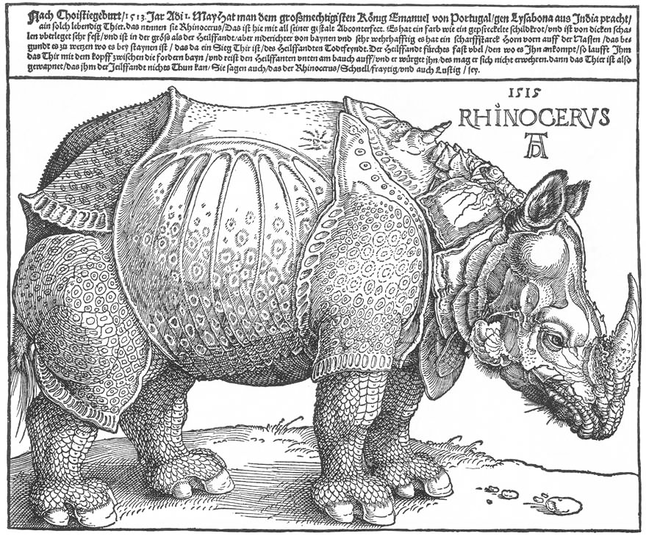 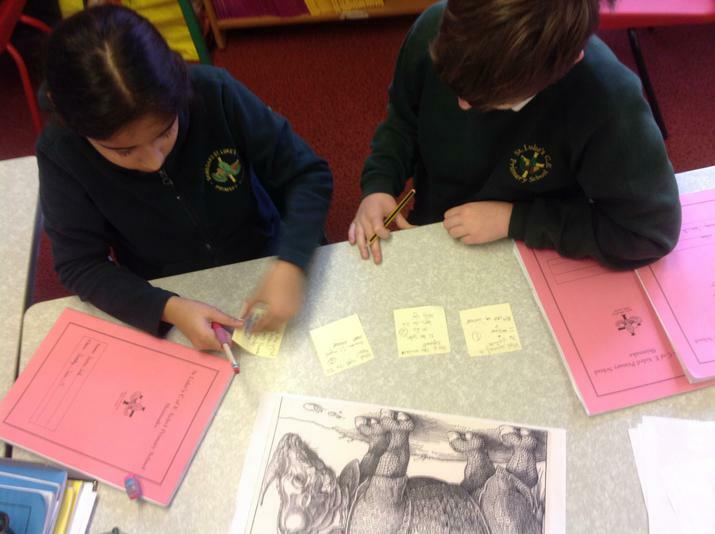 This week we investigated Dürer's Rhinoceros in Art. 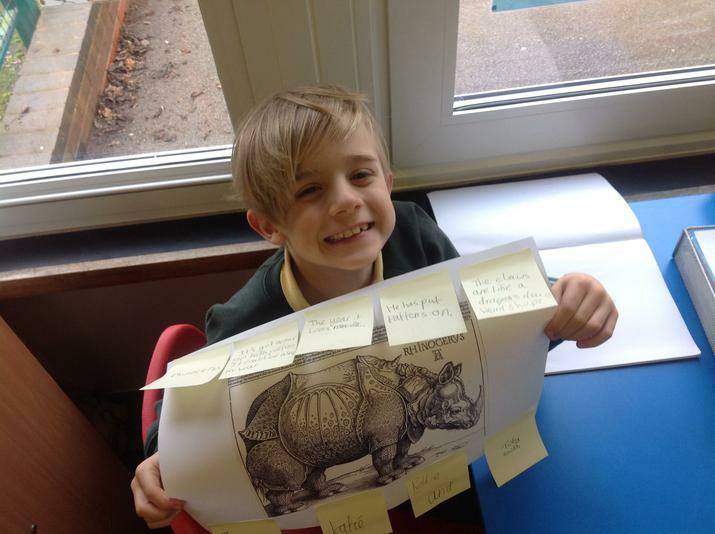 We looked at his artwork and made predictions about the design choices he made. 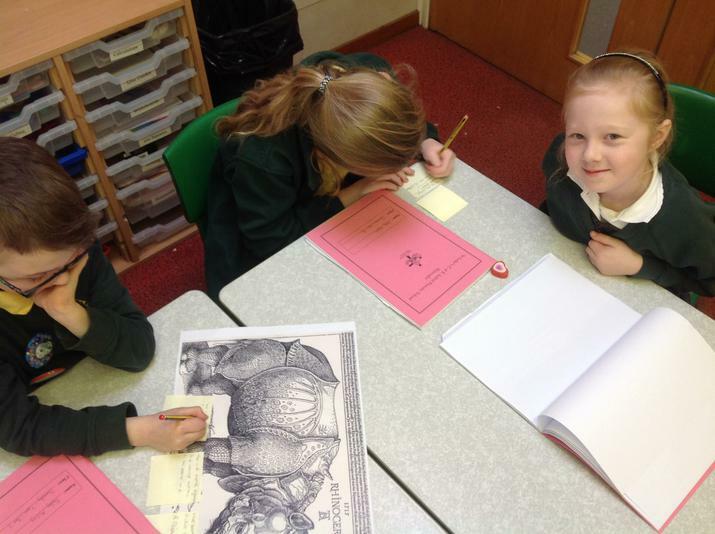 We then researched the piece and compared our predictions.